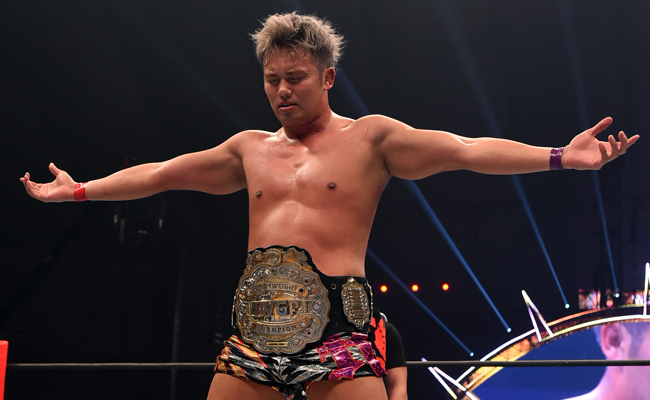 New Japan Pro Wrestling has announced Kazuchika Okada’s first IWGP Championship contender. That contender is Sanada and the Los Ingobernables de Japon star will get his title shot at Dontaku 2019 on May 4. Okada won the IWGP Championship for the fifth time at the G1 Supercard on April 6. The sold out Madison Square Garden event took place the night before WrestleMania 35 and was cross-promoted by New Japan and Ring of Honor. Okada made it clear after his win that he wanted to face Sanada for the title. The two men clashed in the tournament finals of the New Japan Cup on March 24, which Okada won. That victory gave him the championship shot against Jay White, which Okada won in the Garden. This will be Sanada’s fifth opportunity to beat Okada but so far, The Rainmaker has won every time. Their match in the New Japan Cup was hailed by many as the best bout of the tournament and they may very well steal the show at Dontaku.